He is the pilot that landed US Airways' Flight 1549 safely on the Hudson river in New York yesterday. All those who were on the plane came out alive of the ordeal. Thanks to him. He is now being hailed as a hero for doing what he did....and I couldn't agree more. As it turned out this hero used to be an ex-Air Force fighter pilot. I watched on TV as the passengers were being rescued yesterday but it's only today that I started reading the passengers account on what happened to them. I don't like traveling and flying is probably my least favorite mode of transportation. 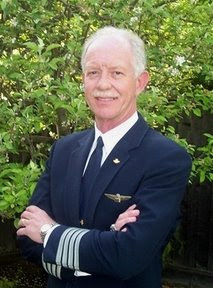 But if I have to fly, I wouldn't mind having Mr. Sullenberger as the pilot on the plane I'm on.